I had the afternoon off today after a very long (super duper long and stressful) day at work yesterday. So after indulging in a spot of Christmas Present purchasing, along with some crafting supplies…… I baked. I started off another little sourdough recipe from Paul Hollywood’s book, but then I decided to make one of the recipes from the series 3 bake off book that I had eyed up when I first flicked through it. It was also made as part of the Masterclass series after this series of the Great British Bake Off. You can find the recipe here. 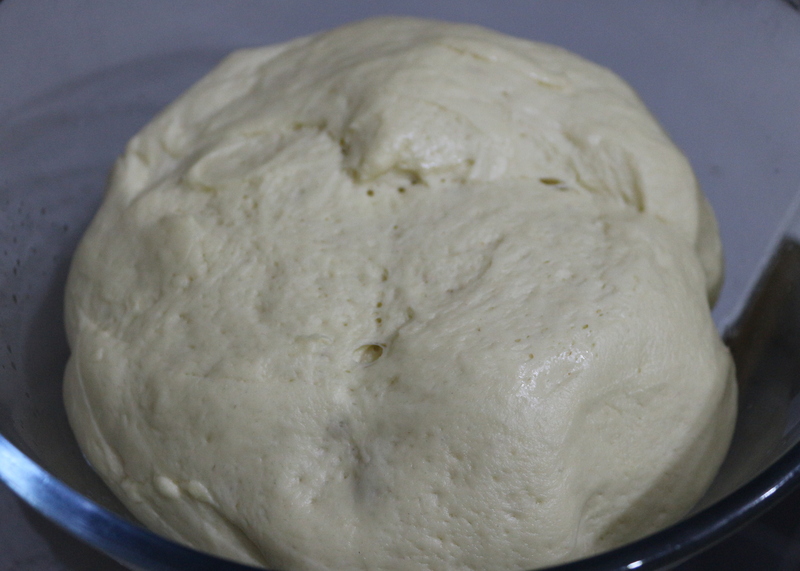 Make the dough, kneady knead….. then leave to rise for an hour until it goes quite wild! – Note: one of the commenters below (Thanks Richard Juniper!) pointed out to me that in the masterclass episode, Paul actually adds 40g of caster sugar to the dough, which isn’t stated in the recipe either in the book or online. Naughty naughty! This may well be an error in the printed recipe, as I had an issue with another recipe (the doughnuts and their frying temperature), which when I then watched the masterclass did seem to be different to what Paul actually did! I haven’t had chance to test this yet, but once I do I shall update accordingly, or let me know if you find this better! See update below. 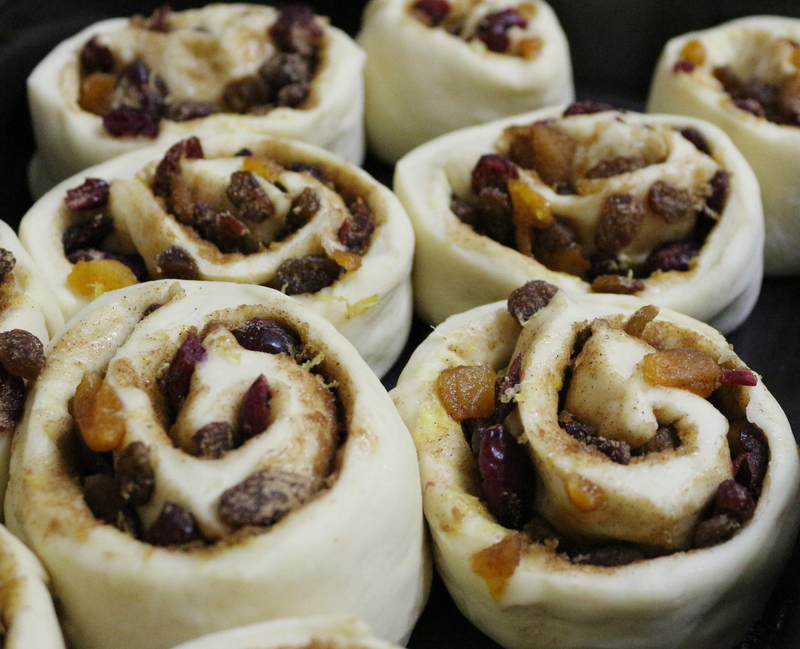 Roll up, slice, arrange in a deep baking tin, and leave to rise again. Bake, then brush with warm apricot jam.. I will try not to eat them all in one go….. Tomorrow, I craft. I have been itching to get my beloved Bernina out for a while. Today I bought some material that I have had my eye on for a while, and have been planning a little something that I have been wanting to make for a while too! A little bit puffier……………….. then I baked them as before, and brushed with some melted butter for added shiny…. Appearance-wise, they don’t look a massive amount different to the others, but texture-wise? Much softer, so definitely worthwhile to add the sugar! But how disappointed am I in these recipes now?! If I have chance, I still have some of the masterclass recipes on TiVo, so will try and re-watch them and figure out if any others are wrong too! I’m quite new to baking but The GB Bake Off has got me trying all sorts of things. 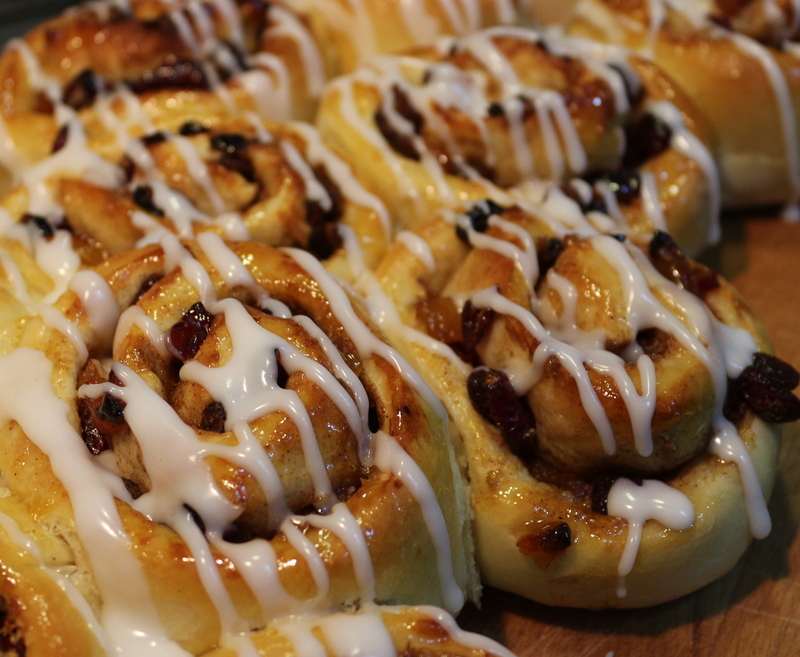 I made these exact Chelsea buns a few days ago but instead of being light and fluffy they were very hard and stodgy. It was my first time making them too, as long as they rose, then the yeast should still be active, as it’s the respiration of the yeast that creates the carbon dioxide and thus the rise. I don’t have a very good warm place in my kitchen, so it sometimes involves step stool/radiator/teatowels in order to tuck it in nice and warm, and an extended proving time before it’s ready. I’m not by any means very experienced at this though! Thanks love! Perhaps we should set up some sort of monthly challenge with a theme? What do you think? I just did it quite gradually, bit by bit, until it was the right size, trying not to force it too much as it just will resist it. thank you i will give it another try this week. gave them another try and they turned out nice and soft this time. however on both occasions the 2nd proofing didnt rise that much so dont know what to do. but thanks for the tips. I tried making them again today, but I made them chocolate and caramel instead. For my second proving, I covered the tin in cling film, and put it on top of a radiator and it worked much better. I also left it a little longer until they were nice and puffy! 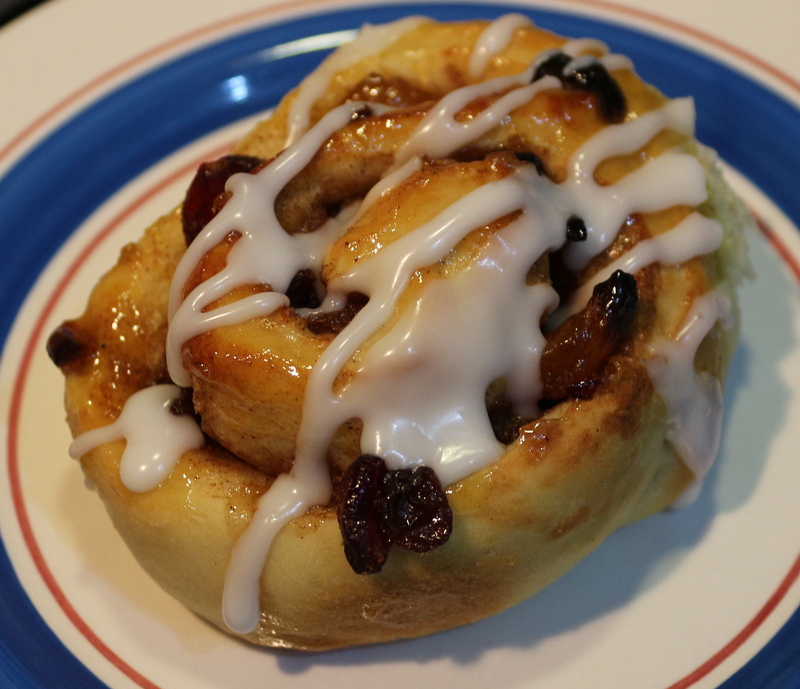 I made Paul’s Chelsea buns for all the family and even for family who were visiting from the USA. They went down a treat and were a great success. I have orders to make many, many, more. I liked them, but I think I can improve on my technique a bit! 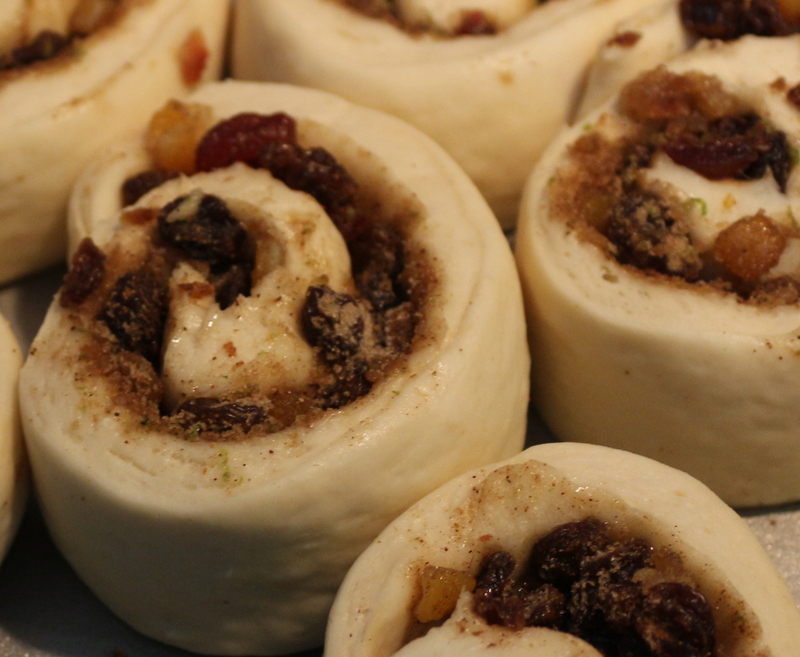 I think they hadn’t risen quite enough before baking I think…..
Today I am having another go… but with a twist! Check out my Chocolate and Caramel Chelsea Buns! I made these bins at the weekend and like Natalie found them a bit stodgy and not as light as a proper Chelsea bin. I had a look at the GBBO Masterclass on BBC iPlayer and noticed that Paul included 40g of caster sugar in with the dough. This is not listed in his recipe. Surely an oversight?? I’ll try again with the sugar and see what happens. I haven’t re-watched the chelsea buns masterclass since making them, but I did notice that on the doughnuts one, he states on the masterclass to fry them at 160C, while the book/recipe online says 180C. I did start off doing them at 180C as stated, but had to reduce the temperature to 160C as they were cooking too fast. Once I watched the masterclass and he said that, it all made sense! This could in fact explain a lot of the problems people have been having with this recipe, as although they do rise without sugar, those little yeastie beasties will be a whole lot happier with some nice tasty sugar! Thanks for that, that’s really helpful, I shall add it to the post! Sorry about the slip of the finger on the keyboard. Of course I meant buns not bins. 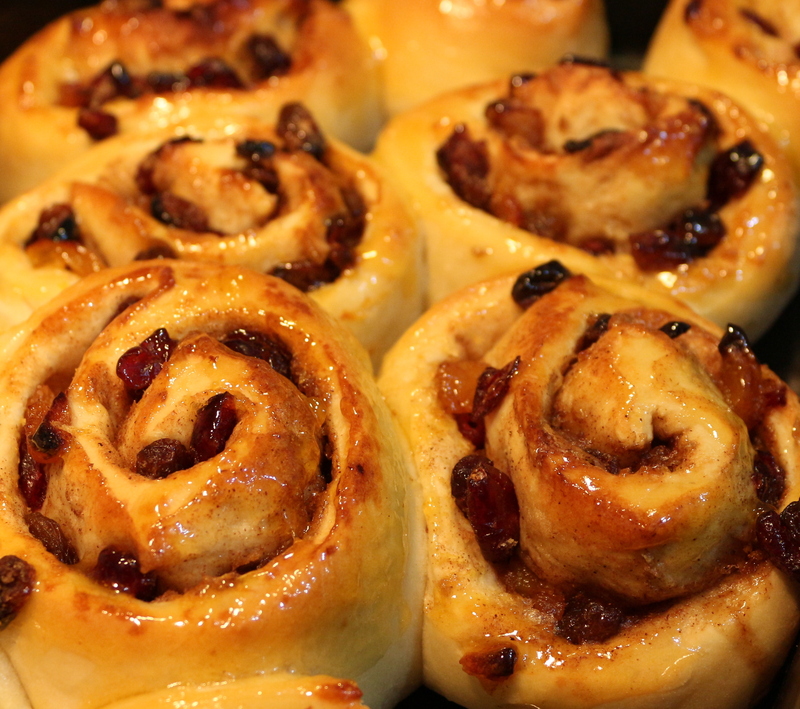 Very useful as after having had a go at the plaited loaf, I now want to try the Chelsea buns. I couldn’t quite work out how to get them bun shaped I think I get it now, she says! I also think I will add the sugar and a few cherries, so here goes! Do you have a link by any chance for the inlayer? The link to the recipe on the BBC Food website is in the above post, but be careful as the dough recipe is incorrect, it needs 40g of caster sugar adding to the dough, otherwise you may find the texture a bit hard. Many thanks, I thought there might be a youtube demo or something but I’ve got the bake off book but have added the 40g of sugar as you suggest so again, thanks for that. You would have thought they would have it correct in the book, never mind. 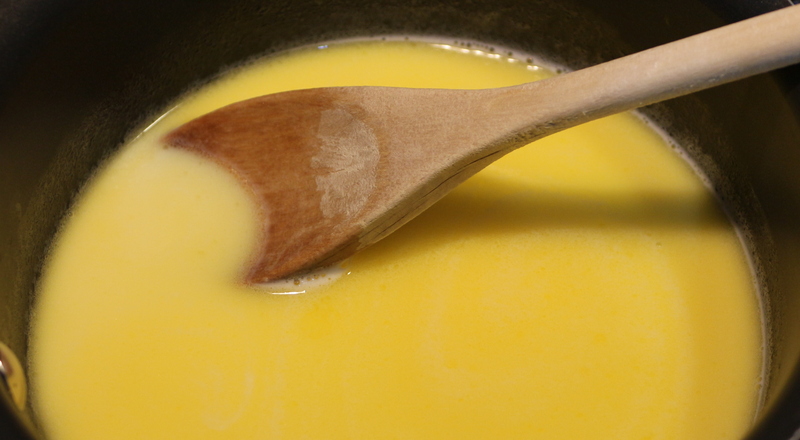 Also I’ve added the orange zest to the fruit – note to self – I really must read the words! Dough is now proving! Oh, I’ve just found a youtube vid and yet another mistake, in the book it says dough in an oiled bowl and on the vid it’s the exact opposite! You just can’t trust anyone these days! Wish I’d read this before I made them! Mine are delicious at first, but end up very dry overnight, which spoils them. I’ll have to try again with the sugar. Made my second batch the other day and yes again very yummy. I’ve found if left overnight they do go a little hard, but found that a few seconds in the microwave puts them to rights. Also had a go at Mary Berry’s Chocolate Log and that turned out lovely. Today I tried her Apple Tart Tatin – blimey how messy is that to make ha ha, everything in the kitchen so sticky. Turned out ok – I think, have yet to try it. Next on my list is the triple chocolate long and the American Lime pie! I made these, with the added sugar (not caster, ordinary) and without oiling the bowl for the proving. They are delicious, really soft and fluffy. I had watched the youtube clip with Mary Berry and noticed the discrepancies from the BBC recipe. So as with most new recipes I did a bit of research of other recipes first and came across your website. Thank you so much for the photos and details as this gave me the confidence to try it. I have fantastic first time results and a recipe I’ll use again and again. Thanks again, I really appreciate it. p.s I added lemon juice to icing sugar for a touch of zing and used chopped dates and sultanas……extra strong white flour and fresh yeast. That’s great! Glad you found them useful. I find that sometimes recipes seem really hard from looking at them, then once you bite the bullet and give it a go, they are really not all that bad! Like Choux pastry, actually really simple! 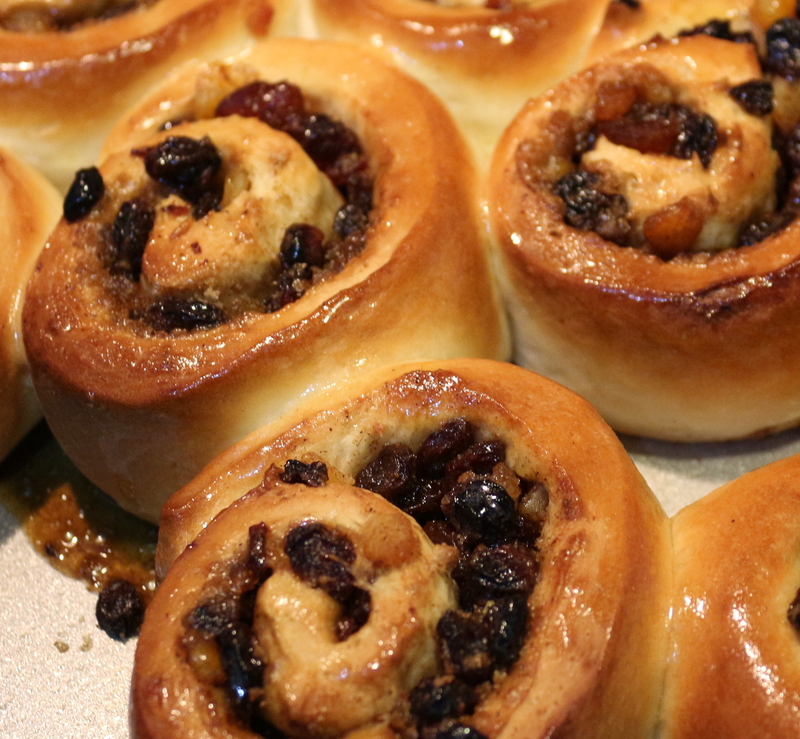 I also made Chelsea buns yesterday, but my chocolate and caramel variation. I may have just had another one for breakfast. And got chocolate ALL OVER MY FACE. Yum. Thanks for commenting, and keep at it, let’s challenge ourselves to something else! They are tasty! I made some with chocolate and caramel instead and they were even better, but then I do love a bit of chocolate! I did try them with the original recipe, using no sugar, and with the 40g. Great improvement in texture with the sugar added. I have to say it makes me lose faith in his recipes! Especially having found problems with others too! Totally agree Lindsay, he is a professional baker and his recipes should all be exactly the same or what is the point in us following them if they vary so much? For people like me who are not experienced bakers I want a recipe that I can just follow and know it’s got a good chance of coming out well! Hi Lindsay, I have made the chelsea buns several times and they have worked out really well, especially with the addition of the 40g of sugar and 40g of butter, I did write to the BBC saying that their recipes did not match the Masterclass, but all they said was that the recipes were tested, which didn’t really answer the question, as you say its not very professional really! And confusing for those who are not that experienced at baking. 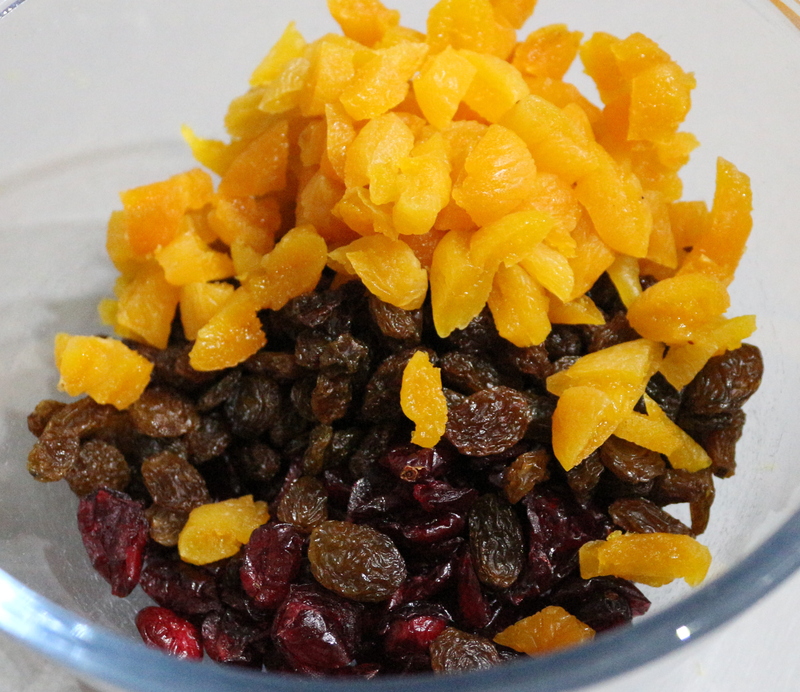 Anyway as I didnt have any cranberries, I use mixed fruit which I soaked in cold tea, this makes the buns much softer with extra flavour, but do dry the fruit before adding as it will be to wet otherwise, also they freeze really well, and the flavour seems to enhance with time in the freezer. 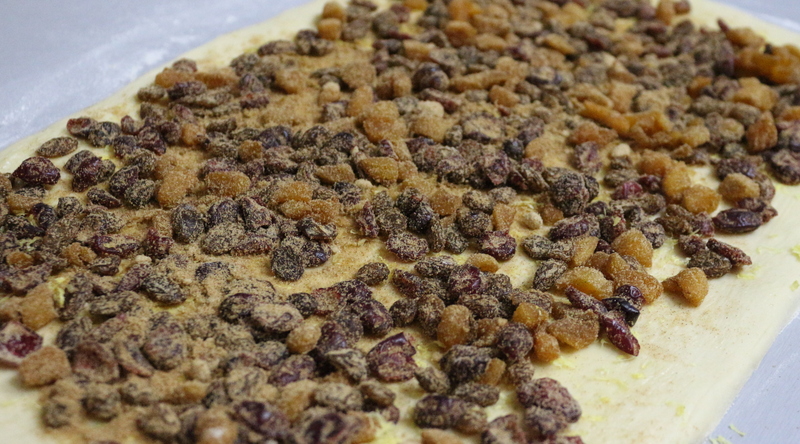 I also make lardy cake which also freezes well. My favourite version that I have made are some that I made with chocolate and caramel. Yummy. But yet we are still missing the earliest episodes….. Who knows why.